Serious Interests Agency – Gallery is concerned with issues of the modification and mutation of contemporary society, under the demanding requirements of particular political or social circumstances. We believe that art can create a strong impact, by using simple means. As a gallery space we are interested in fostering the independence of artists, curators and architects to pursue autonomous investigations, free from the habitual reliance on institutional funding or market-driven parameters. We encourage evolving definitions of community, engaging not just the local community or society, but showcasing contextually similar practices from across the borders. We are not interested in the production of objects; we are interested in projects that are marked by uncertainty and work which challenges our understanding of art. We are interested in the production of alternative/other knowledge and in the possibility of posing questions about the general status quo. SIA is being established as an independent space in Skopje, Macedonia in the spring of 2014. 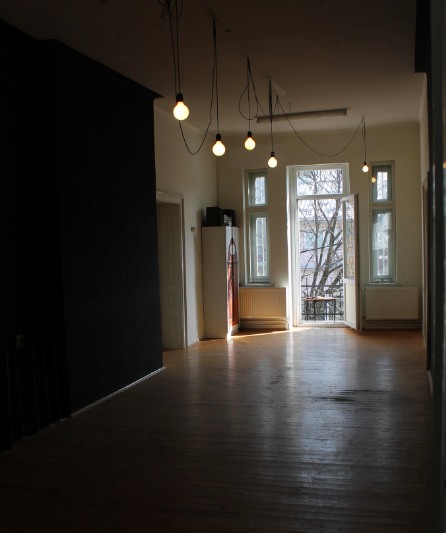 In the past, it has existed as a project that has been directed /curated by artist Nada Prlja and architect Daniel Serafimovski, in different locations and gallery spaces.